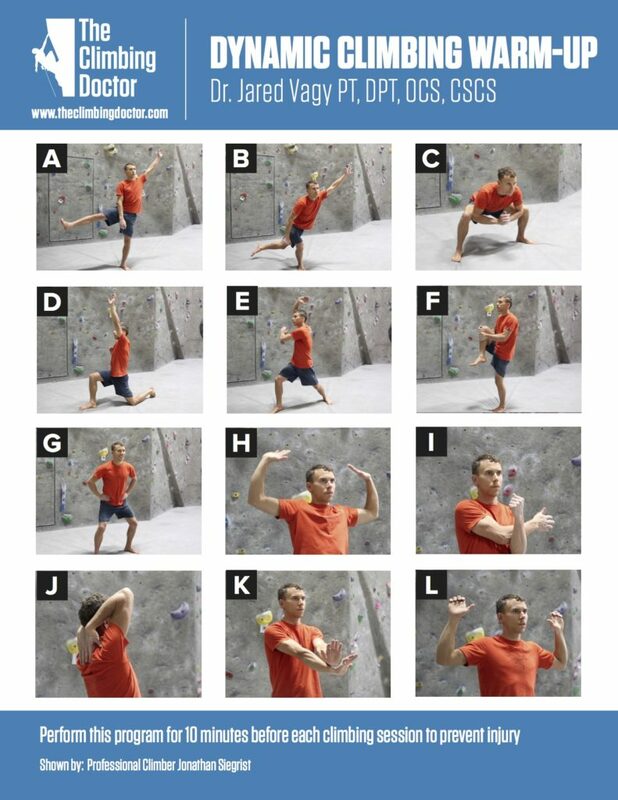 By climbing with proper technique and having an intrinsic awareness of you movement patterns, you can begin to prevent the most common injuries. This will help to increase your climbing efficiency and boost performance. Muscle activation exercises need to be performed as a part of your warm-up. These isometric contractions will prime your muscles before activity. Your antagonist muscles will "wake-up" and increase the effectiveness of your climbing. A dynamic climbing warm-up is a must. This is the only research proven method to safely warm-up. It increases blood flow to your joints, ligaments, tendons and muscles and prepares you for climbing while mirroring climbing movement. Perform these exercises in order to prevent the most common climbing injuries. This daily prevention program contains seven exercises hand picked to keep you climbing strong and injury free.